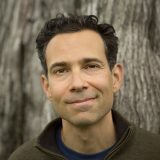 Oren Jay Sofer teaches meditation and communication nationally. He began practicing Insight meditation in 1997, and soon developed a deep interest in the relationship between mindfulness, embodied presence, and communication. Oren began teaching NVC in 2006 and is a CNVC Certified Trainer. His teaching places particular emphasis how awareness practice and communication training can inform and deepen one another in a synergistic manner. Oren also holds a degree in Comparative Religion from Columbia University, is a Somatic Experiencing for healing trauma, and is a member of the Spirit Rock Teacher’s Council. He is also the author of Say What You Mean: A Mindful Approach to Nonviolent Communication. You can find him on Facebook, Twitter, or join his monthly newsletter for a free guided meditation and e-book. View Oren’s complete teaching schedule, including classes and workshops on mindfulness meditation.